This wreath is comprised of a mix of fresh, natural subalpine fir (Abies lasiocarpa) and western red cedar (Thuja plicata) boughs. It is decorated with a large red all weather bow, a mix of pine clusters, 3 Norway spruce cones, red berries, a wooden horse and dog, and a wooden horseshoe. Note: There may be some variations in the wooden decorations used due to availability. 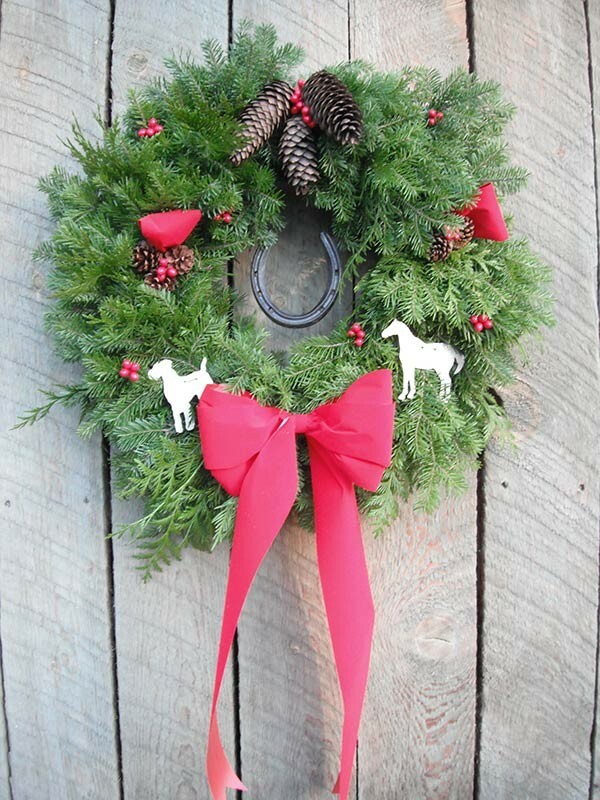 This wreath can be ordered directly through CHAAPS or through Moose Meadows Farm.